Customer must maintain the minimum margin requirement on their open positions at all times. It is Customer’s responsibility to monitor his/her account balance. Customer may receive a margin call to deposit additional cash if the margin in the account concerned is too low. FGMarkets has the right to liquidate any or all open positions whenever the minimum margin requirement is not maintained and this may result in Customer’s CFDs or FX Contracts being closed at a loss for which you will be liable. The difference between our bid price and our ask price is “Our Spread”. Our Spreads are set in our absolute discretion, since we are acting as market maker, and any changes are effective immediately. Information in relation to Our Spread, leverage, rollover fees and trading hours for each market is stated in CFD Trading Conditions and FX Trading Conditions pages of FGMarkets’s website. FGMarkets is counterparty to all Transactions entered into under the Customer Agreement and, as such, FGMarkets’s interests may be in conflict with yours. Our Conflicts of Interest Policy is available at FGMarkets’s website. When trading CFDs or FX Contracts with us, such transactions will not be executed on a recognized or designated investment exchange and are known as OTC transactions. All positions entered into with us must be closed with us and cannot be closed with any other entity. OTC transactions may involve greater risk than investing in on-exchange contracts because there is no exchange market on which to close out an open position. It may be impossible to liquidate an existing position, to assess the value of the position arising from an OTC transaction or to assess the exposure to risk. Bid prices and ask prices may not be quoted by us, based on best execution policies applicable in the market. There is no central clearing and no guarantee by any other party of FGMarkets’s payment obligations to the Customer, thus Customer is exposed to credit risk with FGMarkets. Customer must look only to FGMarkets for performance of all contracts in Customer’s account and for return of any margin or collateral. FGMarkets will provide prices to be used in trading, valuation of Customer positions and determination of Margin requirements in accordance with its Trading Policies and Procedures and Market Information Sheets. The performance of your CFD or FX Contract will depend on the prices set by FGMarkets and market fluctuations in the underlying asset to which your contract relates. Each underlying asset therefore carries specific risks that affect the result of the CFD concerned. Our prices for a given market are calculated by reference to the price of the relevant underlying asset which we obtain from third party external reference sources or exchanges. For our CFD and FX Contracts, we obtain price data from wholesale market participants. Although FGMarkets expects that these prices will be reasonably related to prices available in the market, FGMarkets’s prices may vary from prices available to banks and other market participants. FGMarkets has considerable discretion in setting and collecting margin. FGMarkets is authorized to convert funds in Customer’s account for margin into and from such foreign currency at a rate of exchange determined by FGMarkets in its sole discretion on the basis of then-prevailing money market rates. You have no rights or obligations in respect of the underlying instruments or assets relating to your CFDs or FX Contracts. The Customer understands that CFDs can have different underlying assets, such as stocks, indices, currencies and commodities, as specified in CFD Trading Conditions and FX Trading Conditions pages of FGMarkets’s website. FGMarkets’s Online Trading System provides immediate transmission of Customer’s order once Customer enters the notional amount and clicks “Buy/Sell.” This means that there is no opportunity to review the order after clicking “Buy/Sell” and Market Orders cannot be cancelled or modified. This feature may be different from other trading systems you have used. Customer should utilize the Demo Trading System to become familiar with the Online Trading System before actually trading online with FGMarkets. Customer acknowledges and agrees that by using FGMarkets’s Online Trading System, Customer agrees to the one-click system and accepts the risk of this immediate transmission/execution feature. Market Orders executed over the telephone through the FGMarkets Trading Desk are completed when the FGMarkets’s telephone operator says “deal” or “done” following Customer’s placing of an order. Upon such confirmation of the telephone operator, Customer has bought or sold and cannot cancel the Market Order. By placing Market Orders through the FGMarkets Trading Desk, Customer acknowledges and agrees to such immediate execution and accepts the risk of this immediate execution feature. Where FGMarkets provides generic market recommendations, such generic recommendations do not constitute a personal recommendation or investment advice and have not considered any of your personal circumstances or your investment objectives, nor is it an offer to buy or sell, or the solicitation of an offer to buy or sell, any Foreign Exchange Contracts or Cross Currency Contracts. Each decision by Customer to enter into a CFD or FX Contract with FGMarkets and each decision as to whether a transaction is appropriate or proper for Customer, is an independent decision made by the Customer. FGMarkets is not acting as an advisor or serving as a fiduciary to Customer. Customer agrees that FGMarkets has no fiduciary duty to Customer and no liability in connection with and is not responsible for any liabilities, claims, damages, costs and expenses, including attorneys’ fees, incurred in connection with Customer following FGMarkets’s generic trading recommendations or taking or not taking any action based upon any generic recommendation or information provided by FGMarkets. The generic market recommendations provided by FGMarkets are based solely on the judgment of FGMarkets’s personnel and should be considered as such. Customer acknowledges that Customer enters into any Transactions relying on Customer’s own judgment. Any market recommendations provided are generic only and may or may not be consistent with the market positions or intentions of FGMarkets and/or its affiliates. The generic market recommendations of FGMarkets are based upon information believed to be reliable, but FGMarkets cannot and does not guarantee the accuracy or completeness thereof or represent that following such generic recommendations will reduce or eliminate the risk inherent in trading CFDs and/or FX Contracts. There are no guarantees of profit nor of avoiding losses when trading CFDs and FX Contracts. Customer has received no such guarantees from FGMarkets or from any of its representatives. 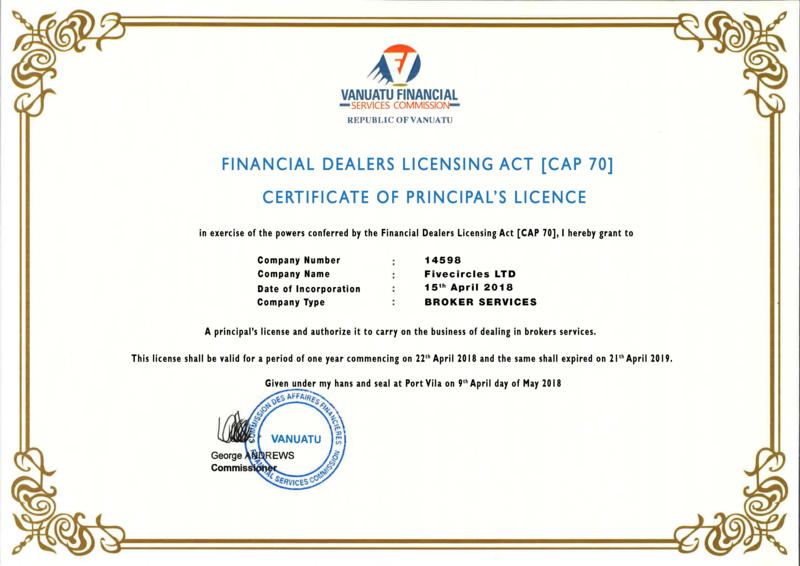 Customer is aware of the risks inherent in trading CFDs and FX Contracts and is financially able to bear such risks and withstand any losses incurred. Due to market conditions which may cause any unusual and rapid market price fluctuations, or other circumstances, FGMarkets may be unable to close out Customer’s position at the price specified by Customer and the risk controls imposed by FGMarkets might not work and Customer agrees that FGMarkets will bear no liability for a failure to do so. When Customer trades online (via the internet), FGMarkets shall not be liable for any claims, losses, damages, costs or expenses, caused, directly or indirectly, by any malfunction, disruption or failure of any transmission, communication system, computer facility or trading software, whether belonging to FGMarkets, Customer, any exchange or any settlement or clearing system. FGMarkets is not responsible for disruption, failure or malfunction of telephone facilities and does not guarantee its telephone availability. For the avoidance of doubt, Customer is aware that FGMarkets may not be reachable by telephone at all times. In such cases Customer shall place his/her order through other means offered by FGMarkets. Should a quoting error occur (including responses to Customer requests), FGMarkets is not liable for any resulting errors in account balances and reserves the right to make necessary corrections or adjustments to the relevant Account. Any dispute arising from such quoting errors will be resolved on the basis of the fair market value, as determined by FGMarkets in its sole discretion and acting in good faith, of the relevant market at the time such an error occurred. In cases where the prevailing market represents prices different from the prices FGMarkets has posted on our screen, FGMarkets will attempt, on a best efforts basis, to execute Transactions on or close to the prevailing market prices. These prevailing market prices will be the prices, which are ultimately reflected on the Customer statements. This may or may not adversely affect the Customer’s realized and unrealized gains and losses.